You are here: Home » General » What to Look for in a Wedding Limousine Service? Getting the best limousine for your wedding depends on a couple of important factors. In this post, we will be highlighting what to look for in a wedding limousine service. Before you call a limo service provider, it is important to determine the number of people that will be riding in the wedding limousine. For instance, you should know if the couple will be riding alone in the limo or if the best man and bride’s maid will also be riding along with them. After you are sure of the number of passengers, you can select the type of limo you want. For most weddings, you need a limo that will cater for the bride and groom and one or two other passengers. Therefore you should be looking at limos that can seat 4 to 6 passengers comfortably like the Hummer limo, a luxurious sedan like a Mercedes limo or a classic car like a Rolls Royce. Search for the wedding limo providers in your city. For example to find limo service providers in the city of Toronto, type in Google: ” limousine service for weddings in Toronto “. This will give you a list of companies from which you can get more information. Write down their phone numbers, email and web addresses. Take some time to look at the features of the limos available for hire. Make sure they have all the amenities you desire like a modern sound system with a CD player, TVs, DVD players and iPod plug ins. Find out if you will be offered cold drinks or you have to provide your own refreshment. You should also find about the kind of chauffeur that will drive the limousine. Compare prices and rates but focus on getting the best value. 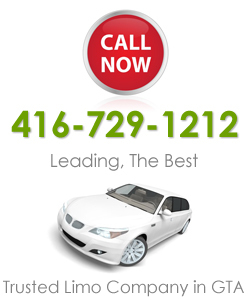 The cheapest limo service will seldom be the best for you. So, strive to get the most value for the money you spend. Discuss about the total price of the entire service. Remember that you may have to tip the chauffeur as well. Make sure you have a complete quote stating all forms of charges. To ensure that you get the best limo for your wedding ceremony, make sure you get an early reservation. In fact, it is advisable to book your wedding limo 6 months before the wedding ceremony. Those are a few valuable tips on what to look for in a wedding limousine service. For more information about how to get an exceptional wedding limo service provider in Toronto, Mississauga and Brampton, contact Deol Limo.